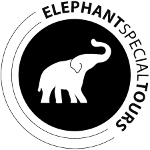 Elephant Special Tours is a multicultural company where Europeans work hand in hand with Thais and Karen people. As one of the largest employers of the Mae Win valley southwest of Chiang Mai, we have committed ourselves to the steady consolidation of mutual attachment. Only together with local people we can ensure a future for elephants. In the following, we present some employees who are present contact to our guests. The team consists overall of more than 25 people. 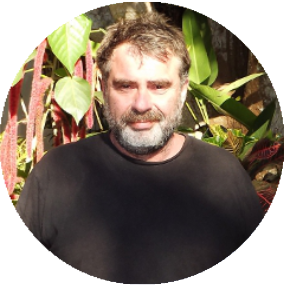 With more than 30 years of experience working and living with elephants, Bodo has established himself as one of the leading experts on elephant conservation in Asia in various media. Powerfully eloquent, often also with a blink of an eye, and together with the local people, he stands for enableing a a good and secure future for elephants, together with the people on spot. Many roads lead to elephants: During his studies, Roger began to take interest into the work of his father Bodo. At first only during semester break – then more and more by the time – he campaigned for mediation of knowledge about the animals and their cultural background in Asia. 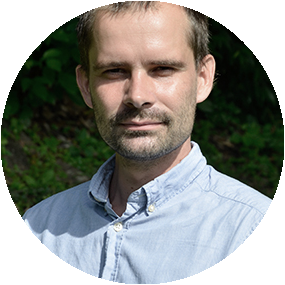 With the foundation of the German company Elephant Vision in 2012, which stands up for marketing and customer acquisition for Elephant Special Tours, he has done an essential step towards a long-term strategy of both enterprises. Not quite as vigorously argueing as his father, but still very thoughtfully structured: this cooperation of son and father is a piece of luck for the develpment of elephant related projects. 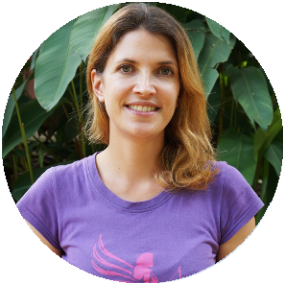 Natalie has visited Elephant Special Tours as a guest in 2011 and was immediately enthusiastic about this project. Einem anschließenden Praktikum, in dem sie viel von ihrer vorherigen Tätigkeit in der Werbebranche einbringen konnte, folgte die Festeinstellung. Her bond with the pachyderms and especially with young Salia is obviously shown in her explanations about the life of elephants and the local people. Guests of all ages appreciate Natalie’s open-minded and friendly nature as well as her fascination for animals. Like all our “elephant people”, Sinchai grew up with elephants. Eversince his earliest childhood, elephants belong to his daily life. 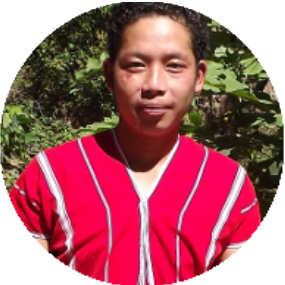 Since 2008, he is camp chief at Elephant Special Tours. Among other things, he is responsible for negotiations with the owners of our animals and during the tours, he takes all the wonderful pictures for your remembrances. Elephants eat enourmous amounts of food – depending on their size up to 250 kg per day! Elephant Special Tours is obligated to a balanced and healthy nutrition of the animals. This is granted by our longest-term employee Silar. 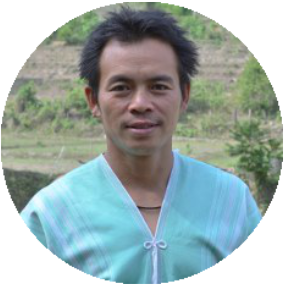 Just like his brother Sinchai he grew up with the animals and is part of our team since his teenage-days. Striking food up to 8 hours per day is no easy job – especially not in hot and sunny Thailand. But it is absolutely necessary for the elephants. Silar is head of a little family – Elephant Special Tours supports his daughter in her school education. 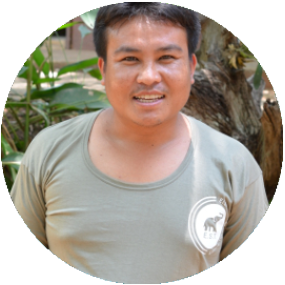 Just like his cousins Sinchai and Silar, Dag already works for Elephant Special tours for many years. He started as mahout for the elephant bull Tong Bai, in whose name we established our affiliated foundation Tong Bai. The coordination of the elephant groups as well as the maintenance of the camps are part of the daily work of this young family man. Eversince he was born, Thongsouk lives in Mae Sapok, the village where Elephant Special Tours has settled down. He started working for us in 2013 and has become a central point in this company. 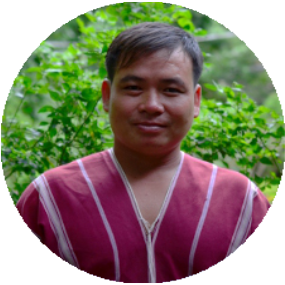 Always with a smile on his lips and charming Thai-style English he brings local culture as close as possible to our guests. He is the very first contact person during the pick up from Chiang mai and accompanies our guests safely to our elephants.